Riesling Ridge is one of the most beautiful and desirable new communities in the Okanagan. Riesling Ridge homes offer residents a private, secluded feel with convenient city amenities. Homes are surrounded by the stunning natural beauty of British Columbia and the breathtaking views of Okanagan Lake. Situated within the prestigious Lakeview Heights area, this vineyard estates community is walking distance to excellent schools, amenities, world-class wineries and golf courses. Imagine living with some of BC’s finest lakes, walking trails, golf courses and wineries all at your doorstep. Homeowners will be able to enjoy the beautiful, hot summer days by relaxing on Okanagan Lake or enjoying local wine tours. Boat launches for Okanagan lake are only 5 minutes away from Riesling Ridge homes. Residents also enjoy proximity to Quail’s Gate Winery and Mission Hill Family Estate Winery. 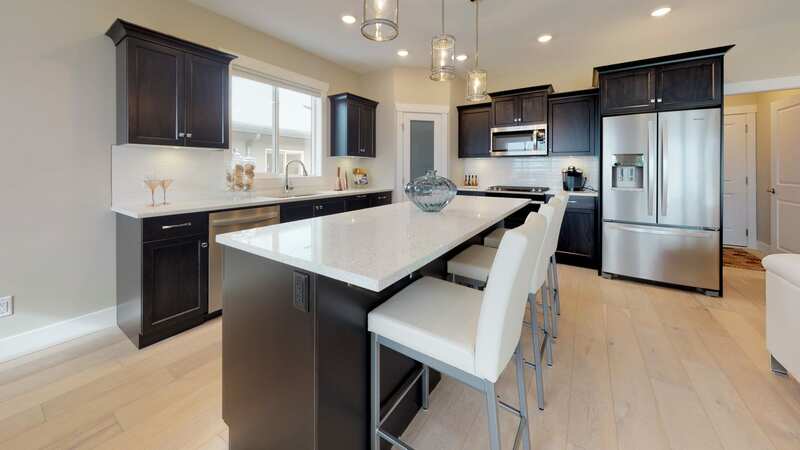 If you’re looking for Lakeview Heights homes for sale, the luxurious neighbourhood of Riesling Ridge could be the next place you’ll want to call home. 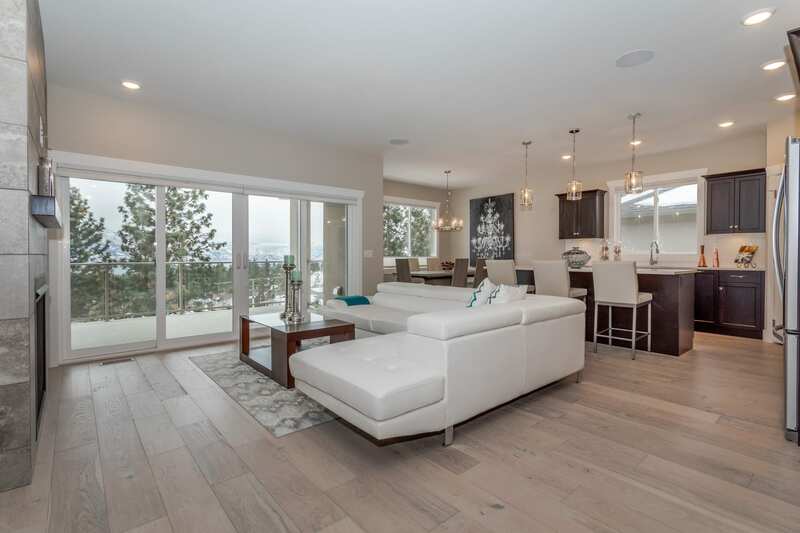 Riesling Ridge boasts some of West Kelowna’s most prestigious homes, starting around 700,000k. But what makes Riesling Ridge such a perfect place to call home? It offers residents an exceptionally high standard of living, an abundance of outdoor activities, recreational activities, leisure opportunities, access to amenities, and best of all: high end, comfortable, luxurious features. Homeowners will have the option to pick from three designer colour pallets to customize their dream home to their tastes. Live in comfort with hardwood flooring throughout the living and dining, kitchen entry and powder room. Tile floors cover full bathrooms and laundry rooms. Homes come equipped with air conditioning systems, roughed in vacuums, and high-end appliances. Enjoy the beauty of the Okanagan all year round with decks overlooking the valley. You’ll also be able to cook and host guests in style in the beautifully appointed, open-concept kitchens with high-end, stainless steel appliances and quartz countertops. Kitchens are beautifully designed with tasteful lighting and wood shaker cabinetry with soft close doors and drawers. Bathrooms include a private master en-suite with dual contemporary sinks (most models), soaker tub and separate showers. Be sure to ask our team about customizing options for your Riesling Ridge home. Alder Projects, the specialty new home builder is now offering this new, luxury subdivision. 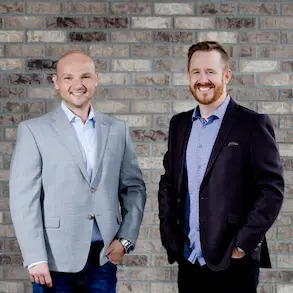 They provide homeowners with peace of mind by offering a new home warranty including one year of coverage on any defects in materials and labour, two years of coverage on mechanical and electrical materials and labour, five years coverage on building envelope, and ten years on structural coverage. Experience true Okanagan luxury at Riesling Ridge. With only 25 homes available, we encourage you to get in touch with our Kelowna Life team for more information or to book a private viewing of this incredible community. The show home is open from 12-4, six days a week. The agents on site can provide you with additional information and answer any questions you have. Additionally, you can view the Materport 3D tour here or photos of the show home here. Owning a home is a great way to build wealth, equity and ensure future stability. Where you choose to live is one of the most important factors in buying a home. Our Kelowna real estate agents know choosing the right home means finding a house that has the right features, offers the right lifestyle and amenities, and gives you a sense of community. If you’re looking for Lakeview homes for Sale, our team of real estate experts would be happy to help. Our team knows Kelowna real estate and would love to help you find the perfect home to suit your needs. For more information on Riesling Ridge, contact our team today.